Although refrigerators are an essential part of any modern household, not everyone can accommodate a large fridge inside their homes. Those of you who lack the space that most modern refrigerators require are always going to have difficulties finding the right fridge for your homes. 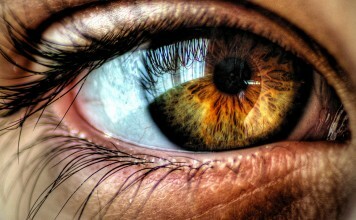 You need not despair, however, as there are plenty of solutions for you out there these days. Among them, upright freezers are perhaps the most convenient, easy to maintain, and above all, affordable refrigerating units money can buy. This being said, some are definitely better than others, which is why we took it upon ourselves to come up with a list of the ten best upright freezers the market has to offer. 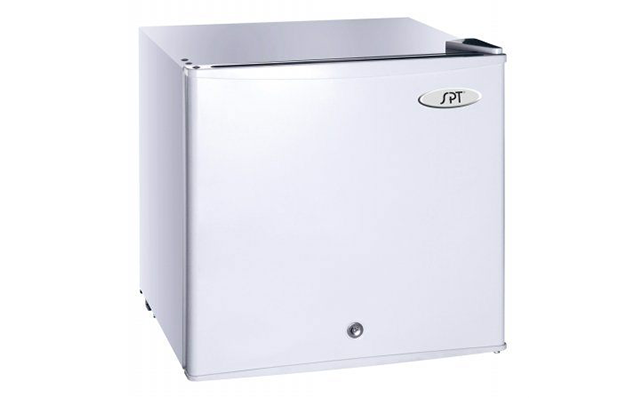 This compact freezer from SPT features a reversible door which you can open and shut without taking up additional space. Interestingly enough, you can also lock the freezer up with a key, a feature that is bound to come in handy for those of you who plan on using it as a garage freezer. At the same time, we should point out that it comes equipped with an adjustable thermostat with a manual defrosting feature. This particular freezer features a true 0°F capability, a feature not many freezers have unfortunately, at least not upright ones. It also features a mechanical adjustable thermostat that is a lot more accurate than most. It also has to be said that it has a freestanding design with a recessed handle that makes it a lot more accessible than you would expect. Last but not least, it features two wire shelves and a total 2.1 cu.ft. net capacity. Similar to the 214SS in more ways than one, the UF-2014W features not a stainless steel construction but a plain one that you can easily fit into your kitchen. At the same time, it features all the capabilities of the 214SS, including the true 0°F feature, the freestanding application, the recessed handle, the two wire shelves, and the surprisingly large capacity. 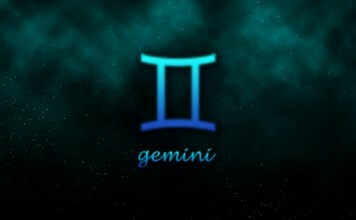 Also, it is designed to run on a lot less energy than most freezers which is a very big plus. 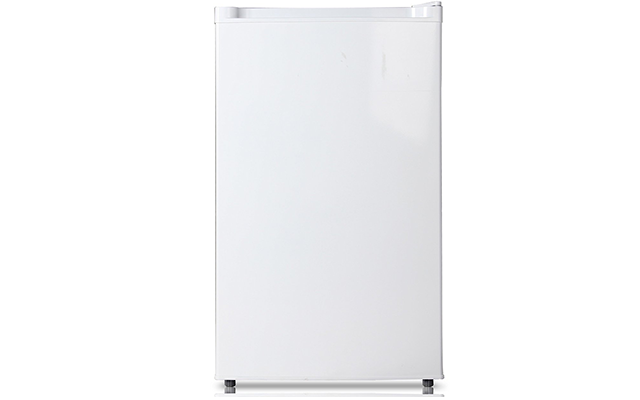 Equipped with a mechanical control and an adjustable thermostat, this particular freezer from Midea is quite simplistic by design, yet very capable overall. For instance, it uses about 30% less electricity than most freezers in its class, making it perfect for students. At the same time, it features an adjustable leg, a reversible door, and a very capable compressor that will last you for years. 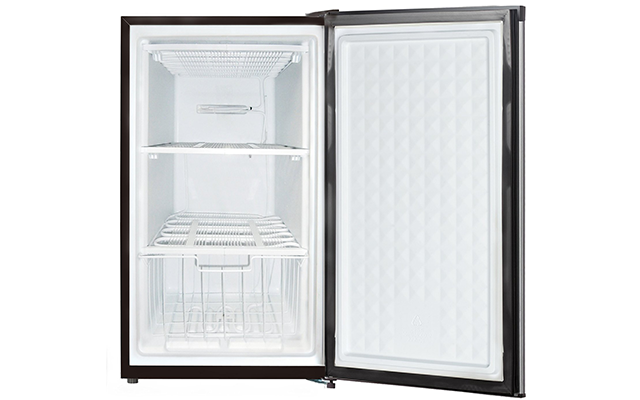 This fairly large upright freezer has a 3.0 cu.ft. 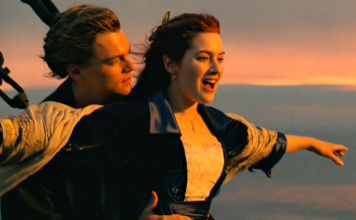 net capacity, a lot more than most such freezers out there. It also features a mechanical adjustable thermostat, a stainless steel door with a black cabinet, three pull-out baskets, and a variety of other useful features. 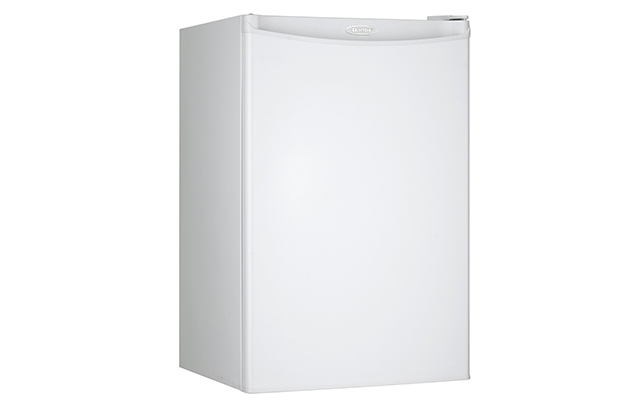 Interestingly enough, despite its seemingly large size, this particular freezer boasts a flush back design to save space. 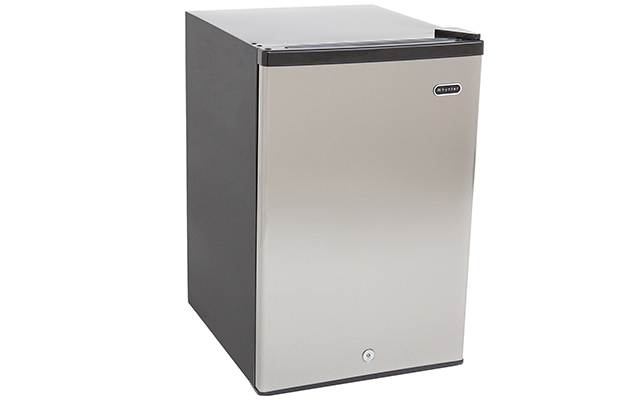 The Whynter CUF-210SS is a stainless steel freezer unlike any other on the market today. 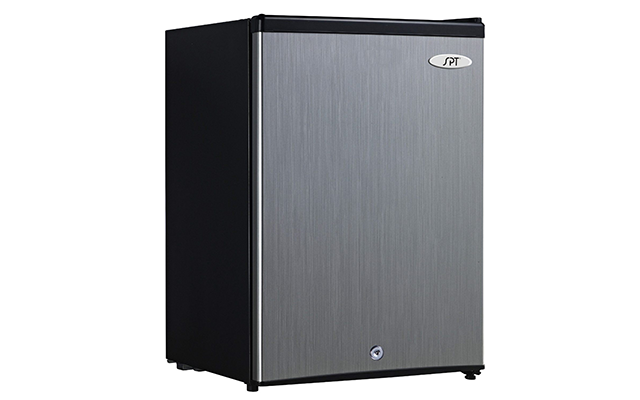 It features a stainless steel construction with a stainless steel door, a compressor cooling feature, two removable shelves, a keyed door lock, an adjustable thermostat, and a lot more. It also has a capacity of 2.1 cubic feet, which is more than enough given its nature and the amount of space it was designed to occupy. Equipped with a mechanical adjustable thermostat and a manual defrost feature, this particular freezer will prove a lot more versatile than you can imagine. It has a 3 cubic feet net capacity, three pull-out baskets, a surprisingly ergonomic build, and a flush back design bound to save you a lot of space. Furthermore, it boasts a much more durable construction that most other freezers in this price range, which is a big plus in more ways than one. Thanks to its adjustable legs, you can fit this particular freezer almost anywhere. At the same time, it uses a reversible door designed to save you an awful lot of space, separate wire drawers for greater accessibility, and a mechanical control with an adjustable thermostat for good measure. At the same time, this freezer comes with a full 1-year warranty for the entire freezer and a 2-year warranty for the compressor. 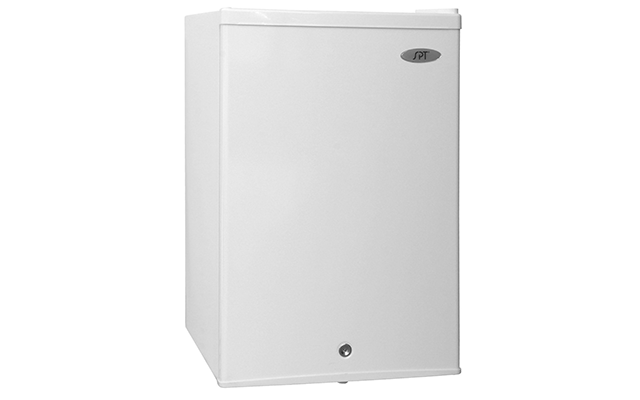 Danby’s DUFM032A1WDB is a 3.2 cubic feet upright freezer that uses an environmentally friendly R600a refrigerant. It also features a manual defrost feature which is bound to come in handy at some point. Furthermore, it features a reversible door hinge that will save you an awful lot of space in the kitchen. This being said, it does come with just two quick freeze shelves but given its relatively compact size, two shelves are more than enough. Similar to the WHS-109F we already talked about in more ways than one, this is one of the best upright freezers in its class. 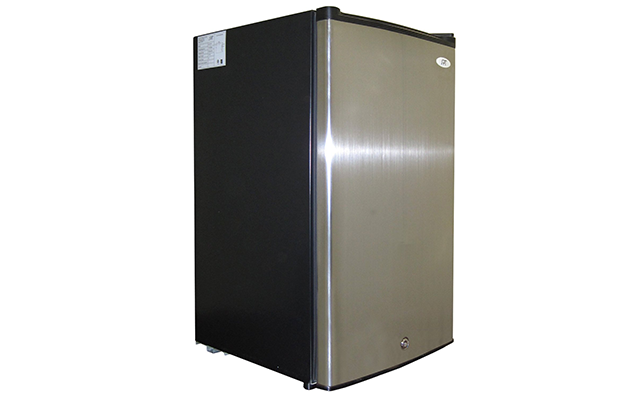 What makes this particular freezer stand out from the rest is its durable stainless steel construction. It also benefits from adjustable legs, a reversible door, separate wire drawers, and a mechanical control with an adjustable thermostat. Last but not least, it comes with a one-year warranty for the entire device and a two-year warranty for the compressor. 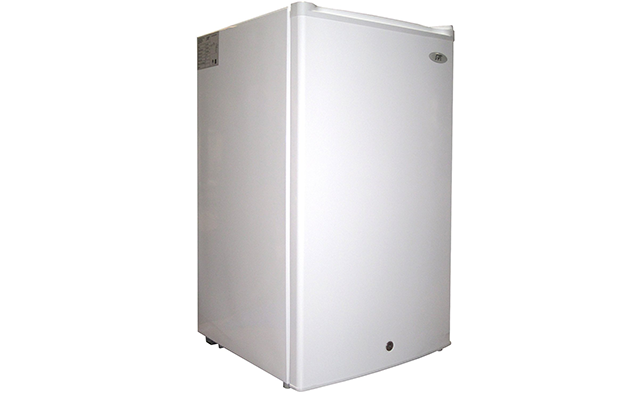 Overall, it is one of the best upright freezers on the market right now. 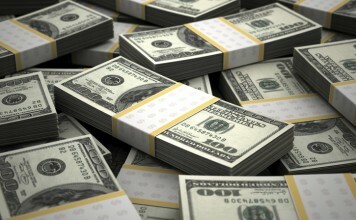 Who Is The Richest Man In The World?